Former All Black Sione Lauaki, 35, has died, apparently suffering from kidney failure. Lauaki, who played 17 tests, was an enormously destructive forward, whose career never quite reached potential. He emerged out of Kelston Boys High and played for New Zealand Colts, making his Auckland debut in 2002. 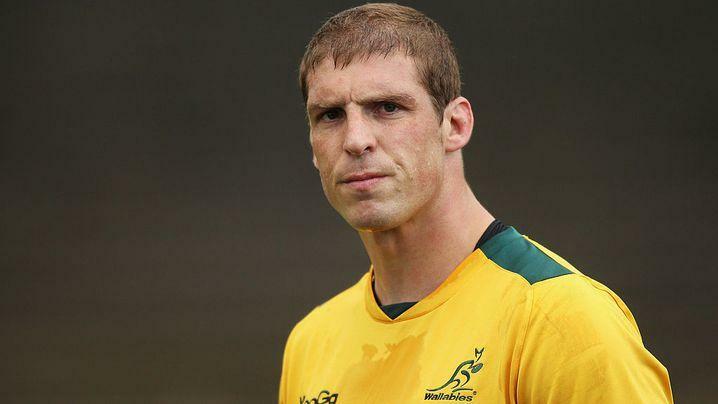 Former Australian Wallabies rugby union player Dan Vickerman has died aged 37. Vickerman was found dead in his family home last night, Rugby Australia said in an official statement. There are no suspicious circumstances surrounding his death, the Herald Sun reported. “63 Tests, three Rugby World Cups, infinite respect,” Qantas Wallabies tweeted this afternoon. The New Zealand All Blacks were among many in the rugby union community who also posted tributes to Vickerman on social media. Former team mates Quade Cooper and Nathan Charles tweeted they were "shocked" by the news of Vickerman's death. Vickerman was born in South Africa, and became a regular Wallabies player from 2003. A severe stress injury in his leg triggered his retirement in 2012. He is survived by his wife, Sarah, and two children. Derek Ibbotson, the former world record-holder for the mile and British middle-distance great, has died aged 84. The legendary runner passed away in a nursing home in his home county of Yorkshire after having suffered from dementia. In his heyday he was one of the country’s finest and most popular athletes. Affectionately known as ‘Ibbo’, he followed Roger Bannister and John Landy as world record-holder over the classic one mile distance and also won bronze in the 5000m at the 1956 Olympics. After Bannister ran his historic 3:59.4 in Oxford in May 1954 and Landy clocked 3:58.0 in Turku the following month, Ibbotson improved the record to 3:57.2 at London’s White City in 1957. He also held the curious distinction of being the first man to run exactly 4:00.0 in a race behind Herb Elliott in 1958 – a statistic that often led to him being the subject of trick quiz questions that asked who the world’s first four-minute miler was. In addition he was sometimes described as the four-minute smiler – a nickname that became the title of his autobiography. Born near Huddersfield on June 17, 1962, his athletics career began to take off in the mid-1950s after joining the RAF. A member of Longwood Harriers, too, he sprang to fame in 1956 by running 3:59.4 to win the Emsley Carr Mile. Among those behind him that day were Ron Delany, the Irishman who would go on to win the Olympic 1500m title in Melbourne later that year. 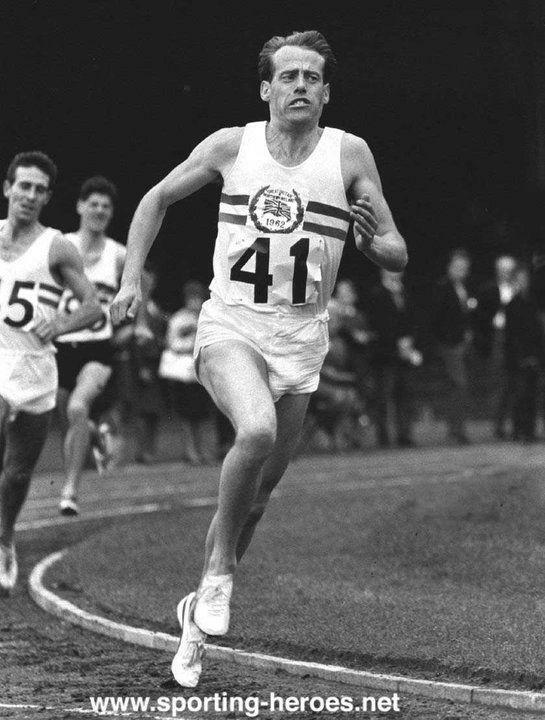 Ibbotson ran the 5000m at the Games instead, though, and finished third behind Vladimir Kuts and Gordon Pirie. One of the strongest milers of the period, he was third in the tough English National cross-country championships and set a British record for three miles on the track. But his finest moment was over the mile on July 19, 1957, when he beat a world-class field including Delany and world 1500m record-holder Stanislav Jungworth of Czechoslovakia to clock a one mile world record. Ibbotson never quite scaled the same heights again but his world record earned him the immortal title of supermiler and he will be fondly remembered not only in British athletics but by middle-distance fans around the world. His first marriage to Madeline Wooller, an English cross-country champion in her own right, led to him becoming to the father of three children. He went on to work for Puma and subsequently had another child with his second wife, Ann, while in his later years he was deservedly lauded as an all-time great and inducted into the England Athletics hall of fame in 2011. Ibbotson was good. I used to watch him on the telly when I was little. 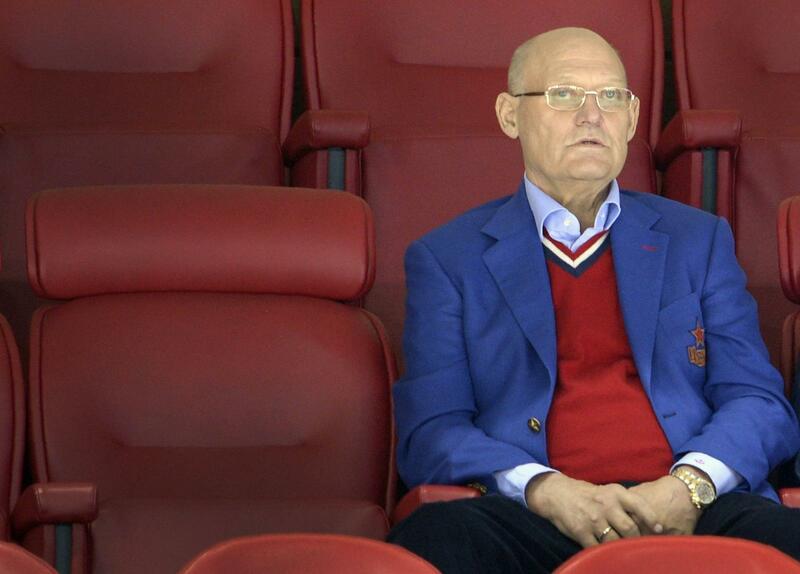 MOSCOW – Legendary CSKA Moscow and Soviet international center Vladimir Petrov, a member of the all-conquering Red Machine team, has died at 69, Russia’s ice hockey federation reported on Tuesday. “Russia’s ice hockey federation presents its condolences to Petrov’s family and friends, his colleagues and everyone who knew him,” said a statement on the federation’s official website. Two-time Olympic champion Petrov, who also won nine world championship gold medals and 11 Soviet League titles during his career, died from cancer after a short illness. Petrov, together with wingers Valery Kharlamov and Boris Mikhailov, formed the attacking line that caused a furor in 1972 in the legendary eight-match Super Series with a Canadian professional NHL all-star team — leading by three wins to one before eventually losing 4-3 with one game tied. The trio had made its debut at the world championships — amateur at that time — in 1969 in Stockholm, where the Soviet Union managed to retain its title despite two defeats to Czechoslovakia, seven months after Soviet troops had invaded Czechoslovakia to crush a pro-democratic drive. After hanging up his skates in 1983, Petrov presided over Russia’s ice hockey federation from 1992 to 1994 and worked as a general manager at CSKA Moscow, Spartak Moscow and SKA Saint Petersburg. Gemmell made 418 appearances and scored 63 goals for Celtic between 1961 and 1971. Tommy Gemmell, a member of Celtic’s ‘Lisbon Lions’ team which won the 1967 European Cup, has died at the age of 73 after a long illness. Gemmell scored the equaliser in the final against Inter Milan in the Portuguese capital almost 50 years ago, with Stevie Chalmers netting the winner after another Gemmell raid down the left flank. Gemmell also scored in the 1970 final when the Hoops were defeated by Dutch side Feyenoord. Gemmell spent 10 years at Celtic between 1961 and 1971, making 418 appearances and scoring 63 goals. He won six league titles, three Scottish Cups, four League Cups plus that European Cup triumph in 1967. Celtic’s victory made them the first British club to win the competition. Celtic’s statement continued: “Tommy Gemmell is a true Celtic legend, part of the greatest side in the club’s history and a man who played a pivotal role in our greatest ever triumph when, in Lisbon’s Estadio Nacional, 11 men all born within a 30-mile radius of Celtic Park, beat Inter Milan to win the European Cup. “The legend of the Lisbon Lions was created that night, and Tommy and his team-mates were assured their place in the pantheon of Celtic greats. Some achievement to win the Ballon D'Or ahead of Puskas and Di Stefano. PARIS – Raymond Kopa, a former Real Madrid attacking midfielder known as the “Napoleon of football” who became the first French player to win the Ballon d’Or, has died. He was 85. According to family members who spoke to local newspaper Le Courrier de l’Ouest, Kopa died Friday morning after being hospitalized last week. The French soccer federation also confirmed his death. Small in stature like the French emperor, Kopa earned the “Napoleon” nickname after an incredible performance with France in a 2-1 win over Spain in 1955. A graceful player with a magnificent eye for passing and for goal, Kopa won the Ballon d’Or in 1958 when he played for Real Madrid. He won the European Cup three times with the Spanish club, from 1957-59. “Raymond Kopa was the embodiment of this institution and its values and as madridistas, we will always remember him as one of our icons,” Real Madrid president Florentino Perez said. A versatile midfielder who could also play center forward, Kopa was also gifted with spectacular dribbling skills and speed, qualities that have often lead to comparisons with Lionel Messi. Kopa, the son of Polish immigrants, worked in the mines as a child and lost two bones in his hand as a result of the strenuous work. He started in soccer with Angers before joining Reims, the club where he spent most of his career. 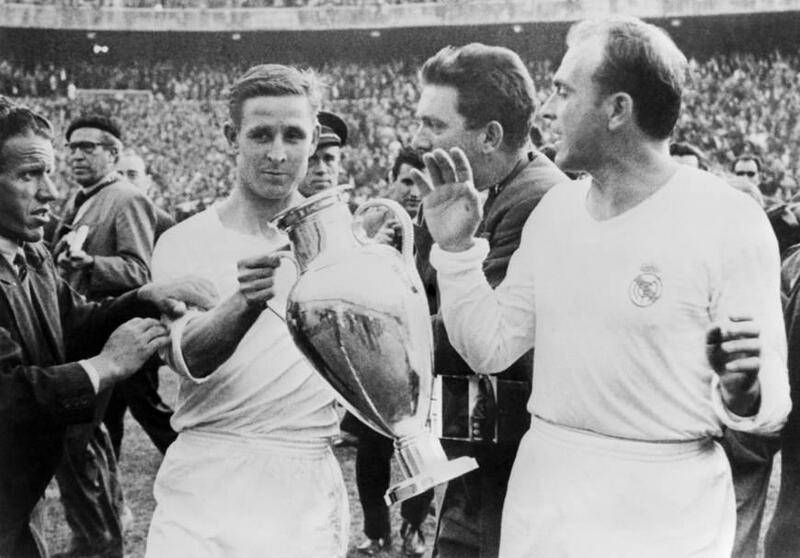 After winning four French titles with the eastern team and guiding it to a runner-up finish in the 1956 European Cup, Kopa joined Madrid for 52 million francs, a very high price at the time. “Transfers like that were rare at the time,” Kopa said in an interview with FIFA four years ago. “I don’t really know how much that would be today, but at the time it was the equivalent of three houses. The first big star of French soccer, Kopa was part of the great Real Madrid team that dominated Europe at the end of the 1950s, playing alongside Alfredo Di Stefano and Ferenc Puskas. Crowned after Stanley Matthews and Di Stefano, Kopa won the Ballon d’Or 25 years before Michel Platini secured it three years in a row. Two other French players have won the prestigious Ballon d’Or award, Jean-Pierre Papin and current Madrid coach Zinedine Zidane. Kopa returned to Reims in 1959 and retired when he was 35 before embracing a successful career in the sports business. Kopa played 45 times for France, scoring 18 goals. He led the French team to third place at the 1958 World Cup and was elected the tournament’s best player after helping Fontaine set the record for most goals scored in a single edition of the tournament (13). Kopa’s international career ended four years later following a tense relationship with then-coach Georges Verriest. ATERSON, N.J. — Boxing Hall of Famer Lou Duva, who handled the careers of 19 champions including heavyweight titlist Evander Holyfield, died Wednesday at the age of 94. The colorful Duva died of natural causes at a hospital in Paterson, where he lived, his son said in a statement released by the family. 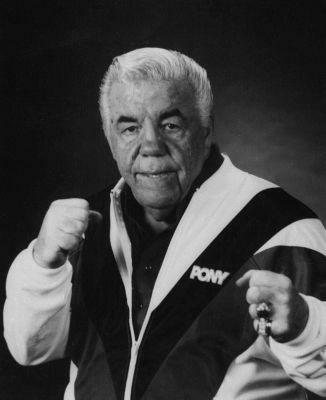 A gruff, down-to-earth manager and trainer who was generous with his pupils, Lou Duva had a career that spanned seven decades. Besides Olympic medalists like Holyfield, he also handled welterweight champions Pernell Whitaker and Meldrick Taylor. His first titlist was middleweight Joey Giardiello, who won his crown in 1963. Duva was enshrined in the International Boxing Hall of Fame (1998), as well as the New Jersey Boxing Hall of Fame and the National Italian American Sports Hall of Fame. 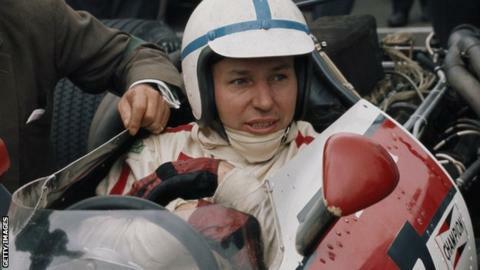 John Surtees: Former F1 world champion dies at 83. Surtees died at St George's Hospital, London, on Friday afternoon after being treated for an existing respiratory condition, a family statement. Last edited by klong toey; 11-03-2017 at 12:34 AM. I doubt that feat will ever be equalled. He could drive anything on two wheels or four. 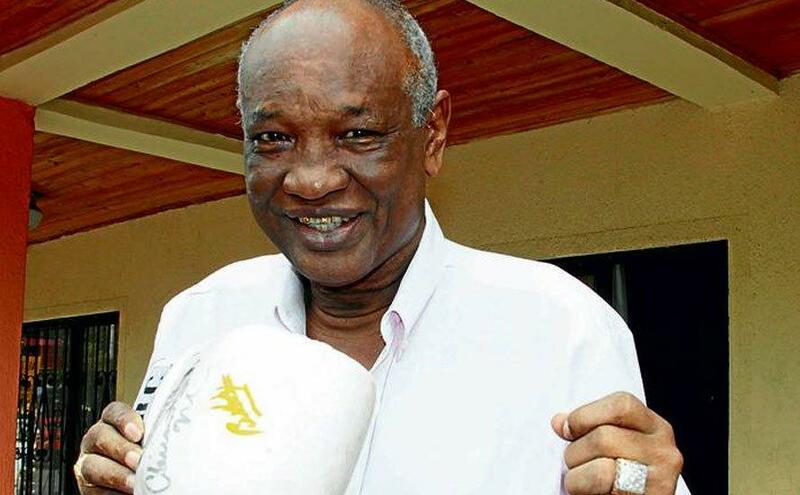 Rodrigo “Rocky” Valdez, the legendary Colombian boxer and two-time world champion died on Tuesday at the age of 70 in his home town of Cartagena. Valdez died of diabetes and coronary artery complications, local media reported. The sportsman was Colombia’s second boxing world champion. 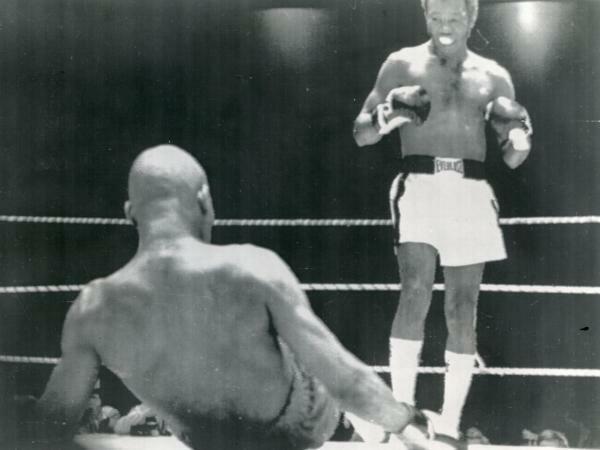 He won his first world middleweight title in 1974 in Monte Carlo, beating the American Bennie Briscoe with a T.K.O in the seventh round. He later lost this crown in 1976 but went on to win it back in a rematch against Bennie Briscoe in 1977 when he added the WBA belt to his name, making him the undisputed king of the middleweight division. Valdez began his career in the coastal city of Cartagena, making his debut at the age of 17. As a professional, Valdez fought in 73 fights, winning 63, 43 of which were by knockout, losing eight and drawing two. Anfield legend Ronnie Moran passed away in the small hours of this morning, aged 83. The player, coach, mentor, assistant-manager and Boot Room original lived much of his life in a comfortable bungalow in Crosby. In the mind's eye of Liverpool fans from all over the world however, Moran's spiritual home was a claustrophobic corner of Anfield known as the Boot Room, where three decades of unprecedented footballing success were plotted by some of the sharpest football minds of the time. The passing of the 83-year-old, who served Liverpool for the best part of half-a-century, cut the link to one of the earliest members of the Boot Room. Little larger than a cupboard tucked away under the Main Stand, the Boot Room was the talking shop and occasional drinking hole where the coaching staff who worked under Bill Shankly would gather when the day's work was done or a match was over. The Boot Room tradition was kept by subsequent managers, notably Bob Paisley, Joe Fagan, Moran himself (in a caretaker capacity) and Kenny Dalglish. Moran was always there, the permanent fixture amongst the backroom boys who helped to oil the wheels of a winning machine the like of which the English game had never seen before. Moran served Liverpool as a player, captain, trainer, coach and caretaker manager. He was the club's longest-serving employee when he retired in 1999. But he did not cut his contact with Liverpool after that. He was familiar to the more recent generation of players, making his daily runs around the perimeter of the Melwood training ground. The Liverpool managers of more recent years were always happy to maintain the tradition of inviting Moran in each day. In later years those runs became walks. Moran's playing career at Anfield began in 1949, when he joined as a part-timer while serving an apprenticeship as an electrician. The decision to turn professional was made in 1952. He recalled: "I was on terms known as 14 and 11: you got £14 a week during the season and £11 during the summer weeks. "No-one in my era made a fortune out of the game in wages. I retired as a player on £30 a week. These days a decent first team professional in the Premiership can earn enough to keep him for life on a two-year contract. Not that I'm complaining. The rewards are just very different now." 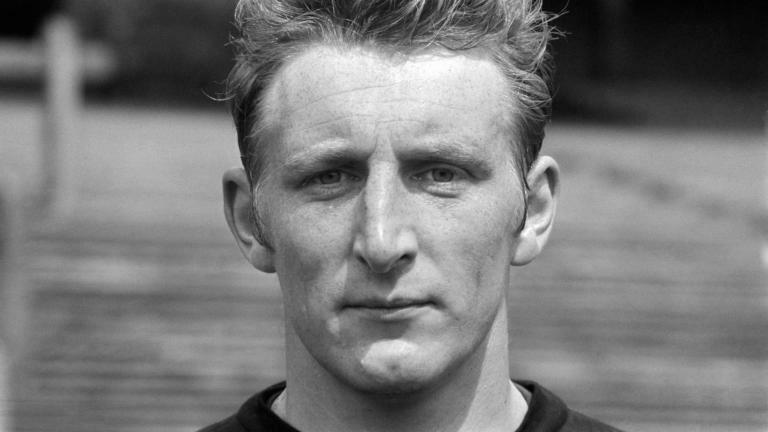 By the 1954/55 season, Moran was a regular in the Liverpool side in Division Two. His life changed when Shankly arrived at Anfield in 1959. Moran recalled: "Bill moved a lot of players on. Some went because they were not good enough. Some went because they were good players but did not have the right attitude when things were difficult." Shankly recognied Moran's qualities as a full back well enough to retain him as captain. In 1961-62, after a lengthy spell on the sidelines through injury, Moran played 16 games to help Liverpool finally regain top-flight status. Two seasons later he was a regular member of the Division One Championship winning side. Moran lost out to Gerry Byrne for the left back slot in the 1965 FA Cup final win over Leeds United. Byrne dislocated his shoulder at Wembley, and Moran played left back in the famous Anfield victory over Internazionale of Milan three days later. Moran then played his final competitive game in a Liverpool shirt in the return at the San Siro stadium when Liverpool were controversially beaten in the second leg of the European Cup semi-final. The following season Moran was invited onto the coaching staff by Shankly, although he continued playing for the reserves for a further two years. He formally retired from playing during the 1968-69 season and joined the coaching staff full-time. In 1971 he took charge of the reserve team and in 1972-73 guided the Reds' second string to the Central League Championship. He was a constant ingredient in the Liverpool success story, working under Shankly, Bob Paisley, Joe Fagan, Kenny Dalglish, Graeme Souness and Roy Evans. Moran gained a reputation as the sergeant major of Melwood and was well known for his insistence on keeping strict discipline. Tommy Smith reckoned Moran "could moan for England." Fowler said: "At Liverpool we are all taught to keep our feet on the ground and I, for one, have reason to remember that no-one subscribed to that theory more than Ronnie. "After playing against Fulham and scoring five goals I was feeling well pleased with myself when Ronnie came in the dressing room and said: 'I don't know what you`re looking so smug about. You should have scored seven.' Those words will live with me forever and I think they sum up the greatness of the man." 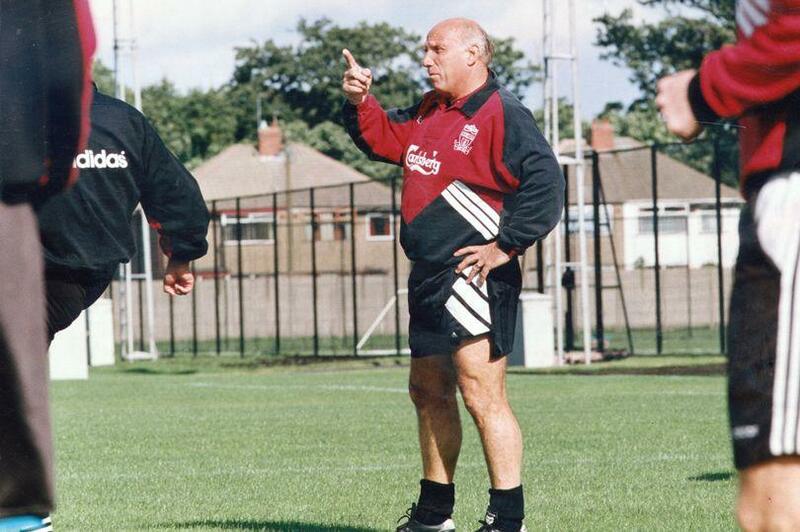 Moran had a brief, 10-game spell as caretaker manager after Dalglish announced his resignation as manager in 1991. He made it clear he had no wish to take the job on permanently and was happy to hand the responsibility on to Souness. The following year In Moran again took job as caretaker again after Graeme Souness underwent heart surgery. Moran said: "It was only after I began coaching myself that I began to realise why we had not been a winning team before Shanks arrived. I hadn't really seen it as a player. The Boot Room was first used by the Anfield coaching staff as a small private space to enjoy a drink with their opposite numbers following a game at Anfield. Moran recalled: "I think Liverpool were among the first clubs to start that after match tradition with the boot room at Anfield. Bob Paisley and Joe Fagan instigated it. Bill never used to come in. He did not drink. He would just pop his head around the door. "The visitors only stayed for around 20 minutes or so after a game. If it was Everton for instance, we would have a drink and a natter about old times. But we would not talk about the game that had just happened in the afternoon. It was the same with other clubs. "It was a kind of etiquette. You did not speak about any incidents. Last Liverpool appearance: May, 1965. League appearances: 342 games, 15 goals. Overall appearances: 379 games, 17 goals. Obviously, there was a man. Yeah, but Liverpool haven't won the league ever since they banned the keeper picking up a back pass. Blimey that's a bit young. Ehiogu, who was the club's under-23s coach, collapsed at Tottenham's training centre on Thursday after suffering a cardiac arrest. Tottenham announced his death this morning, saying in a statement: "It is with immense sadness that we announce the passing of Ugo Ehiogu." Ehiogu, who played for Aston Villa and Middlesbrough and was capped by England on four occasions, joined Spurs as a coach in 2014. Spurs' head of coaching and player development, John McDermott, said: "Words cannot express the sadness that we all feel at the club. Ugo's immense presence will be irreplaceable. "Our heartfelt sympathies go out to his wife Gemma and his family." Spurs also added their thanks to the North Middlesex University Hospital, Royal Brompton Hospital and Harefield Hospital. 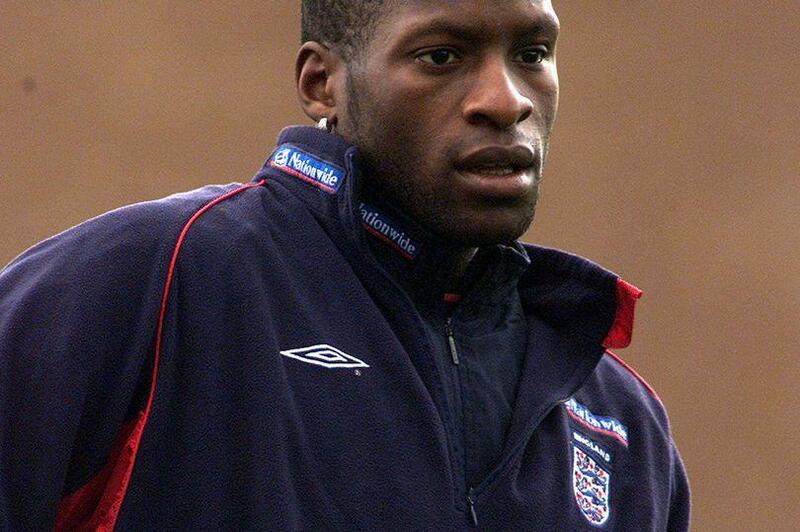 Ehiogu began his career as a trainee at West Brom before he was taken to Villa by Ron Atkinson in 1991. He went on to feature in more than 300 matches for Villa and played in their FA Cup final defeat against Chelsea in 2000. Ehiogu joined Middlesbrough for a then club-record £8million fee later that year, and in 2001 he scored his only goal for England in Sven Goran-Eriksson's first game in charge, a 3-0 friendly victory against Spain. Knee injuries plagued the final years of Ehiogu's career at the Riverside Stadium. He joined Leeds on loan in 2006, and also had short spells with Rangers and Sheffield United before he retired from football in 2009. 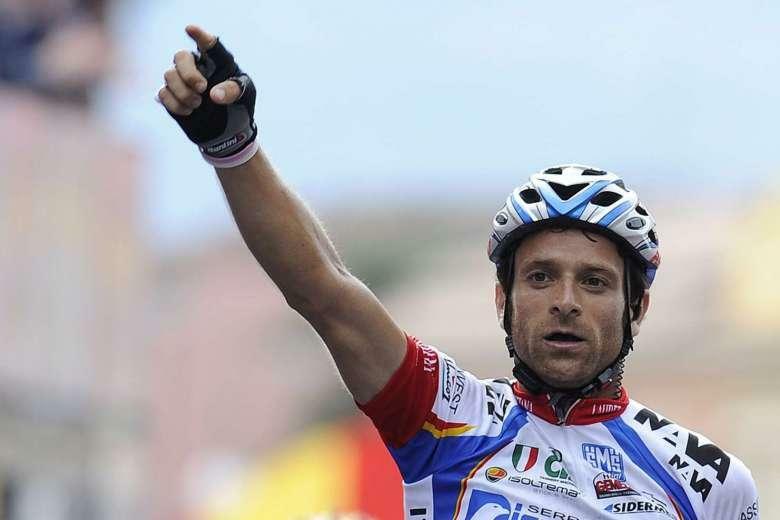 Veteran cycling Italian Scarponi, the 2011 Giro champion, killed in road accident while training. Italian cyclist Michele Scarponi has been killed in a road accident after being hit by a van while training close to his home in Filottrano, his Astana team said on Saturday. The 37-year-old finished the Tour of Alps on Friday and left home early on Saturday morning for a training ride where the accident occurred at a crossroads. "We left a great champion and a special guy, always smiling in every situation, he was a real mile stone and a landmark for everyone in the Astana Pro Team," Astana said in a statement. Scarponi is survived by his wife and two children. "This is a tragedy too big to be written," Astana wrote on Twitter, paying tribute to the veteran, who won the Giro d'Italia in 2011. 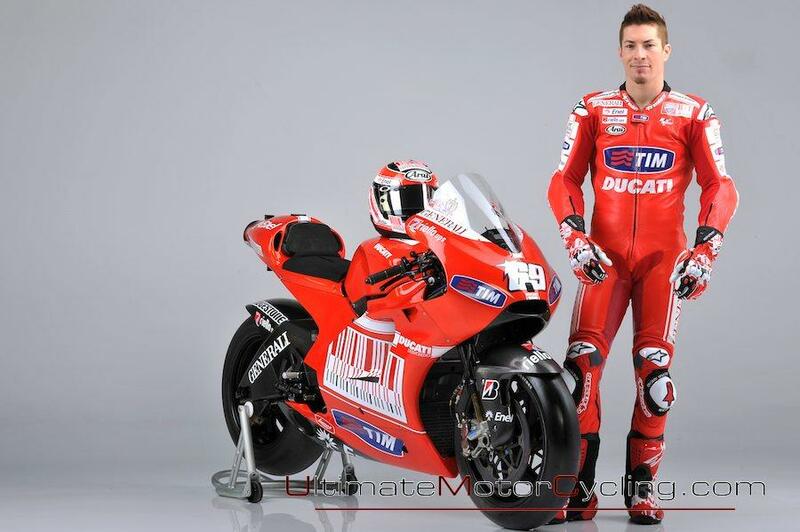 "Ciao Michele," the team added. Timo Makinen, one of the original flying Finns, has died at the age of 79. 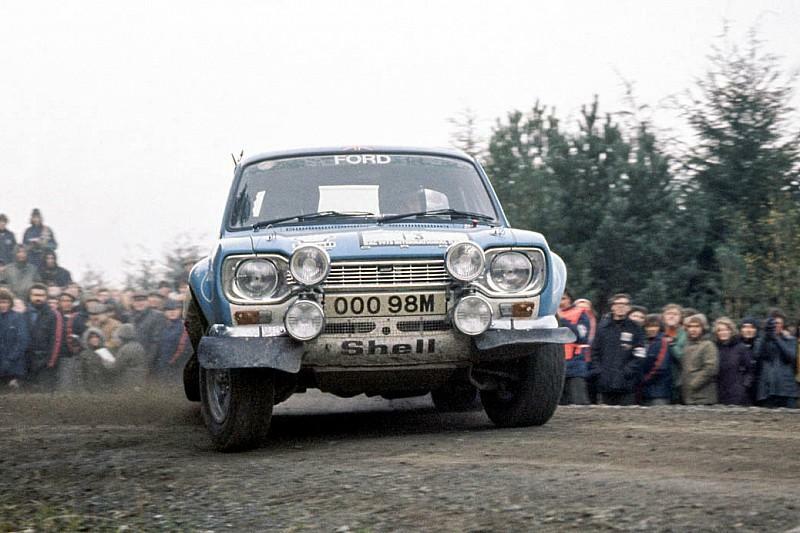 The history books will reflect on the hat-tricks the Helsinki-born driver scored on his native 1000 Lakes Rally and on the RAC Rally. Clearly, a man to do things in threes, he won three successive Finnish Rally Championship titles as well. But there was more to Makinen than just the results. Unfortunately for him, his time preceded the arrival of the World Rally Championship by a decade or so. Had the governing body been a bit quicker off the mark, the world championship silverware would undoubtedly have included more than one Makinen. Timo came from a different time. He was the archetypal Finn who would set the stages alight during the event and then conduct his post-event debrief from the bar. 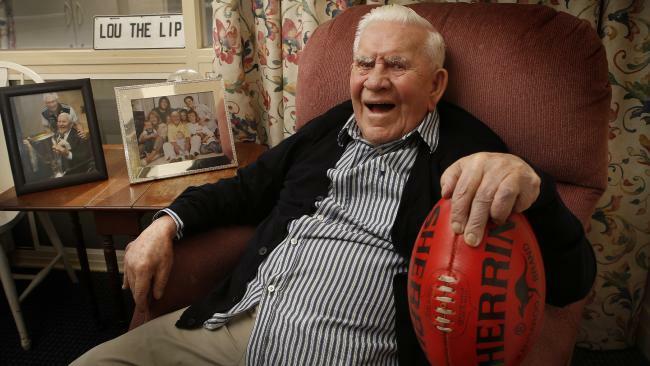 Collingwood legend and media personality Lou Richards has died at the age of 94. Richards passed away peacefully on Monday in his Melbourne nursing home. 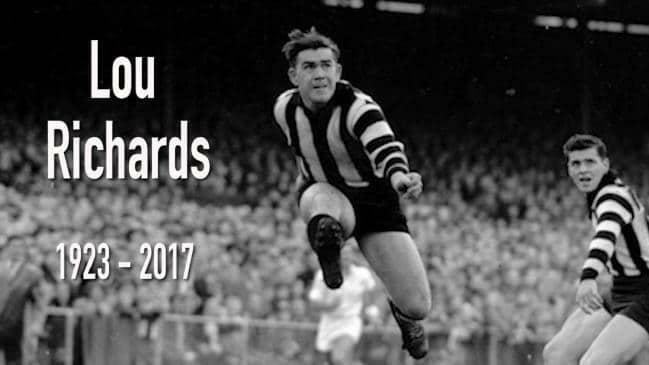 He was Collingwood captain from 1952 to 1955, leading the side to a premiership in 1953 and was the leading goalkicker in 1944, 1948 and 1950. Richards was one of the inaugural inductees into the AFL Hall of Fame in 1996, but was disappointed at never being upgraded to official legend status, a situation that caused a good deal of controversy in football circles. Former MotoGP champion Nicky Hayden has died five days after he was hit by a car while cycling in eastern Italy. "It is with great sadness that Red Bull Honda … has to announce that Nicky Hayden has succumbed to injuries suffered during an incident while riding his bicycle last Wednesday," his Honda World Superbike team said in a statement overnight. 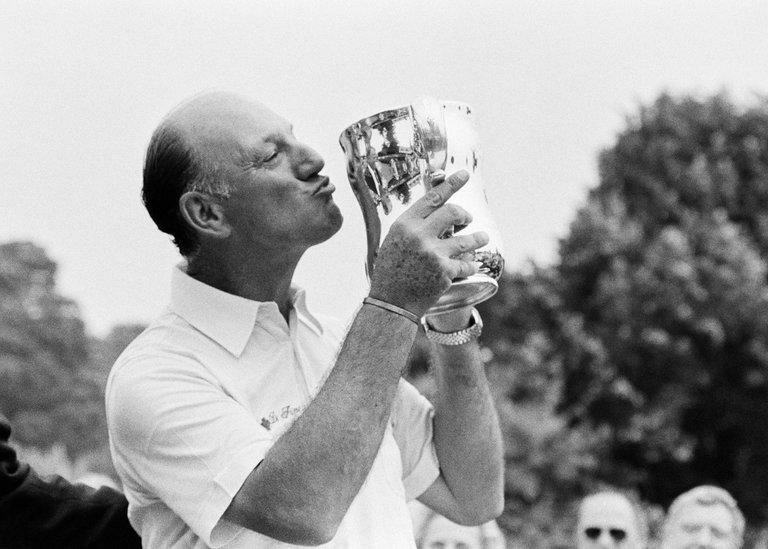 Roberto De Vicenzo, Argentina’s finest international golfer, who won the British Open and the first United States Senior Open but was remembered most for one of the game’s most storied gaffes, died on Thursday in Argentina. He was 94. The Argentina Golf Association, which confirmed his death, said he broke his hip last month at his home in Buenos Aires and had been in deteriorating health since then. De Vicenzo won 231 tournaments, according to the World Golf Hall of Fame, playing in South America, the United States and Europe, but none has a more dramatic place in golf history than one he lost, the 1968 Masters. “What a stupid I am,” he famously lamented after it was over. Shooting a final-round 65 at Augusta National on his 45th birthday, De Vicenzo had evidently gained a playoff for the championship with Bob Goalby, who finished moments after him with a 66, both men having completed four rounds at 277. But the Masters officials were stunned to find that De Vicenzo’s birdie-3 on the 17th hole had been marked as a 4 by his playing partner, Tommy Aaron, who was tallying De Vicenzo’s scorecard, a customary arrangement for paired golfers. De Vicenzo had hastily signed the card without double-checking to see that Aaron’s markings matched his own, unofficial tally. The 4 had been marked in pencil, but the tournament chairman, Clifford Roberts, and his aides, after discussing the mistake with Bobby Jones, the patriarch of Augusta National, maintained that it could not be erased, according to the Rules of Golf, since the card had been signed. That left Goalby as the champion and De Vicenzo as the runner-up by a single, if phantom, shot, giving him a total of 278. Forty-one years later, Ángel Cabrera became the first Argentine to capture the Masters. De Vicenzo watched him do it on television in Buenos Aires, taking in the accolades that might have once been his. Roberto De Vicenzo was born on April 14, 1923, in Buenos Aires, where his father, Elias, worked as a house painter. One of eight children, he began caddying at a local golf club at age 6. Captivated by the sport, he constructed makeshift clubs out of discarded shafts and heads and fished balls from water hazards for his practice rounds. When he was 12, his mother, Rosa, died in childbirth. He quit school after the sixth grade and declared himself a pro at age 15. He won the Argentine Open and the Argentine P.G.A. Championship in 1944, and after serving in the Argentine Navy during World War II he played internationally. He finished third in his British Open debut in 1948, then won four times on the PGA Tour during the 1950s and ’60s. De Vicenzo won the British Open at Royal Liverpool at Hoylake in 1967, besting Jack Nicklaus by two shots and becoming that major’s oldest winner in the 20th century at 44 years 93 days. Then came Easter Sunday, April 14, 1968. De Vicenzo shot an eagle on the first hole of the Masters’ final round. A large, friendly man and a favorite of the galleries, he enjoyed chants of “Happy birthday” as he walked the course, playing a brilliant round, only to be deprived of an 18-hole playoff for the championship by the scoring error. He went on to win the Senior P.G.A. Championship in 1974 and the inaugural United States Senior Open in 1980, at Winged Foot in Mamaroneck, N.Y. Diligent in practice sessions, De Vicenzo routinely hit 400 balls a day, and on the course he was wary of too quick a pace. “If you hurry, then nothing seems to go right,” he was quoted as saying by the World Golf Hall of Fame, which inducted him in 1989. He remained active into his 80s, tutoring young players and running a golf school at the San Eliseo club outside Buenos Aires. De Vicenzo and his wife, Delia, had two sons, Roberto and Eduardo, according to the PGA Tour. A list of survivors was not immediately available. For all his achievements, the 1968 Masters shadowed De Vicenzo and the two other golfers enmeshed in the improbable event. Through the years, De Vicenzo shouldered the sole blame for the incorrect scorecard. Goalby received mail from fans who accused him of being an unworthy champion. De Vicenzo told Sports Illustrated in 2008 that he had earned lucrative appearance fees as a result of the mistake. “I’ve gotten more out of signing the card wrong than if I had signed it correctly,” he said. A terrific story. Thank you for sharing. Dear oh dear that is no age at all. I'm guessing Barcodes fans will have fond memories, too. Liverpool Football Club have paid tribute to former Newcastle United midfielder Cheick Tiote after he passed away on Monday. The former Magpies star collapsed during a training session with his club Beijing Enterprises Group in China. He was subsequently rushed to hospital before his death was announced by his agent, Emanuele Palladino. A statement from Liverpool read: "The thoughts of everyone at Liverpool Football Club are with the family and friends of Cheick Tiote after his passing today. Former Reds boss Rafa Benitez, who coached Tiote at St James' Park, expressed his sadness at the sudden loss of the former Ivory Coast international. Benitez said: "It is with great sadness that I have this afternoon learned of Cheick's death. 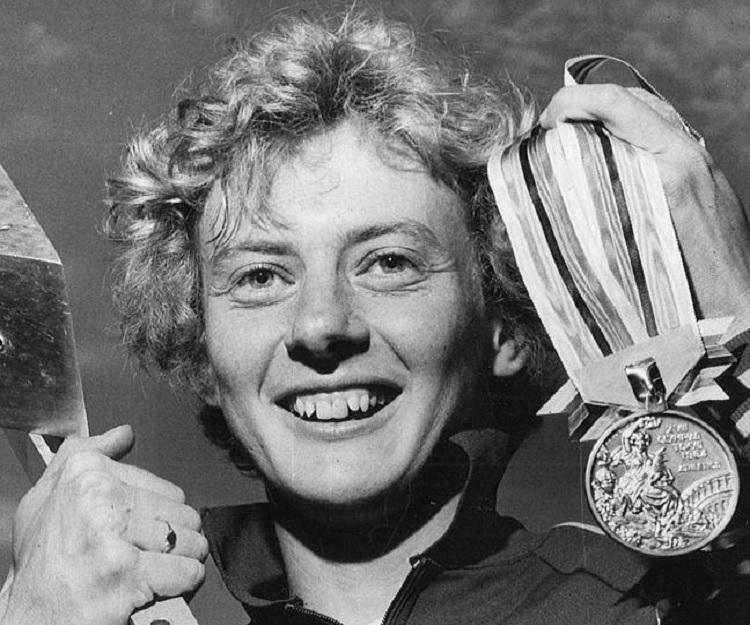 Olympic champion Betty Cuthbert has died at the age of 79. The one-time world record holder died after a long battle with multiple sclerosis.